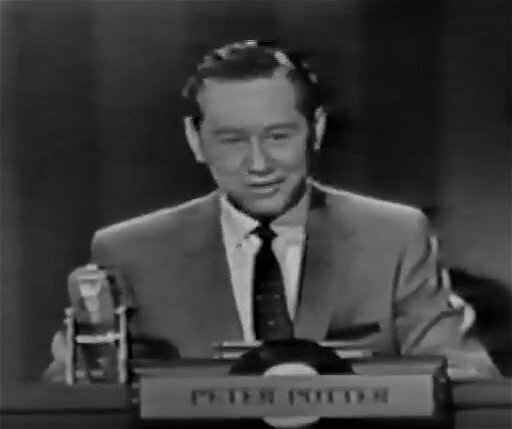 The first, and probably most enduring, of all pop panel shows was originally devised and presented in America by Peter Potter in 1948. 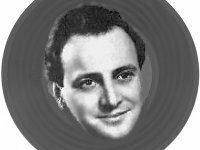 The British BBC version was hosted by DJ David Jacobs with his Rock-Ola Tempo II Jukebox and the famous bell and hooter for 'Hit' or 'Miss'. It featured a celebrity panel rendering their judgements on the latest pop releases, often in ignorance of the fact that the artist they were commenting on was sitting behind a screen listening to them. Nine discs were selected each week, six or seven of which were used with a couple held 'in reserve' in case the show under-ran. The British show started life on 1st June 1959 and ran until the end of 1967. Originally scheduled on Mondays, its instant popularity soon earned it a Saturday evening slot after the 'Grandstand' sports programme. 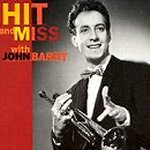 The theme music most associated with the show is the catchy 'Hit and Miss', which was penned and performed by John Barry and a hit in its own right, but this was not the original theme. The first six episodes were blessed with the much less well-known 'Juke Box Fury' composed by Tony Osbourne and performed by Ozzie Warlock and The Wizards. In the original series the 'panel' was usually one disc jockey, two other personalities from various areas of show business plus 'a typical teenager' making up the panel of four that was always two men and two women. The first panel consisted of Pete Murray (who occasionally 'sat in' for David Jacobs), Alma Cogan and Gary Miller with Susan Stranks giving a 'teenager's view' on the musical offerings (later to become one of the presenters of 'Magpie' in July 1968). Katie Boyle was a regular panelist. There were guests of all kinds on the panel, not only from the world of music, that resulted in some peculiar combinations appearing on the show such as Roy Orbison finding himself seated next to Thora Hird, Hermione Gingold with Dionne Warwick, Charlie Drake with Diana Dors, John Peel with Katie Boyle and Scott Walker with the Earl of Arran. In later shows the entire panel tended to be invited from the music business. An interesting feature of the show was that, usually, one of the recording stars being 'voted' on was actually present behind the scenes and would be brought out afterwards, so if the panel really slated a record they were likely to have to explain their opinion to the artist, in person. The only 'prize' on offer was the prediction of whether the record under review was a 'hit' or a 'miss'. 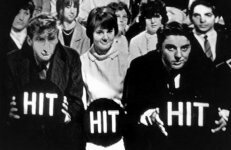 If there was a 2-2 tie in the panel votes, the casting vote was decided by three selected members of the audience who held up records with 'HIT' on one side and 'MISS' on the other as a 'tie-breaker'. By 1962 the programme ws attracting 12 million viewers on Saturday nights. 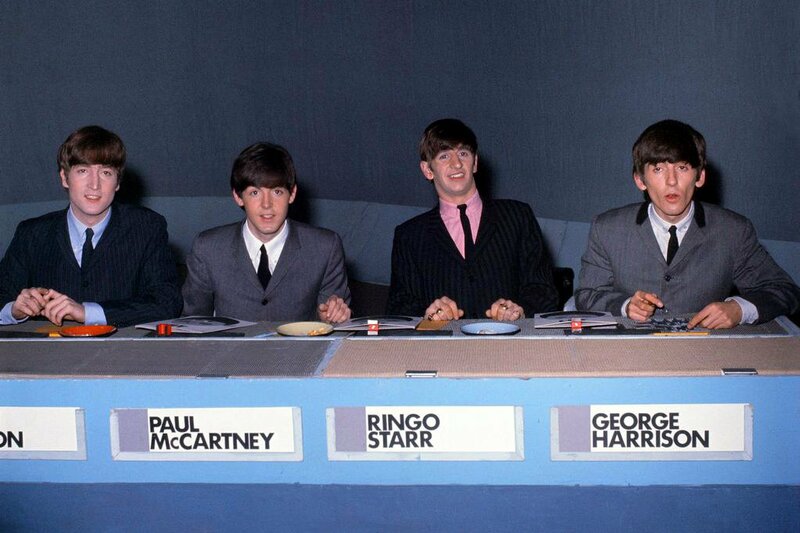 On Saturday 7th December 1963, the panel was made up of the four Beatles, pulling in 21million viewers! The show came from the Empire Theatre in Liverpool and formed a 2-part show.The JBJ segment was shown at 6.05p.m. and the live concert that followed was broadcast at 8.10p.m. under the separate title 'It's The Beatles'. They swapped their name plates around on the front of their desks, frustrating studio staff who tried, but failed to get them back in the right order. They voted most records a 'miss'. John Lennon had appeared without the other three Beatles earlier in the year as a Juke Box Jury panelist in an episode that was taped in London on June 22nd 1963 and was aired on BBC 1 a week later on June 29th. The producer of this show was Neville Wortman whose show and career reminiscences can be read here. On the show, The Beatles gave judgment on new releases by stars including Elvis Presley, The Swinging Blue Jeans and a group called The Chants. About Elvis's 'Kiss Me Quick' Paul McCartney ventured "I love his voice and I love all the records like Blue Suede Shoes, but I don't like the songs now. Kiss Me Quick - it sounds like Blackpool on a sunny day." George Harrison's verdict was "Elvis is great, but the songs are not for me." However, being Elvis, they voted the song a 'Hit' and it went on to reach number 14 in the charts. They also liked 'Hippy Hippy Shake' by The Swinging Blue Jeans. George Harrison: "I think it could possibly be a hit - I know for a fact it's a popular song round here - we used to do it ourselves". John Lennon predicted that it would be "a small hit at least." He was more confident about 'I Could Write A Book' by The Chance - "It's right good that one, it's the bestest gear - that's the sound, boys". The record failed to enter the charts. This particular show was hosted by Nicholas Parsons and was broadcast two days after the band achieved their third UK chart-topper with 'I Want to Hold Your Hand'. 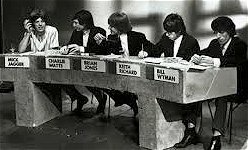 On January 25th 1964 Phil Spector was a 'jury' member and on the 4th July 1964 the panel, unusually, consisted of five members - The Rolling Stones. The Seekers also participated as jury members - (see pictures below. On the right are the public 'tie break' audience jury). 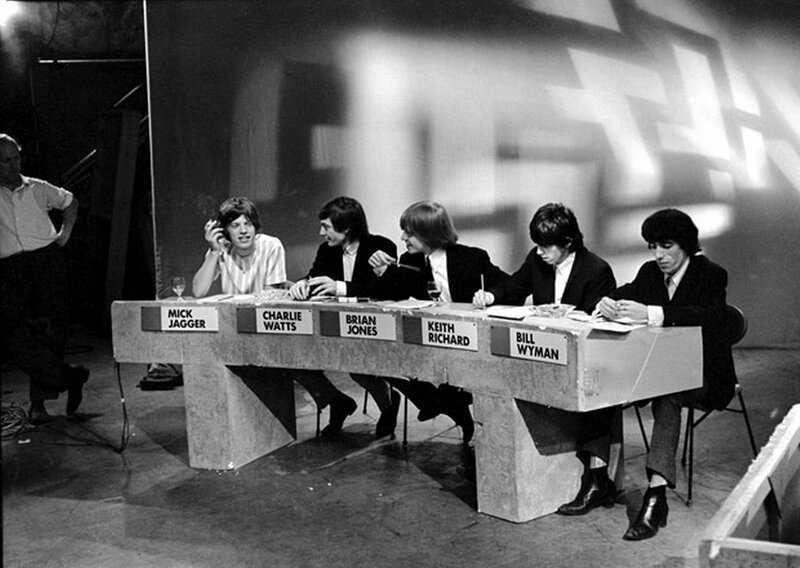 Marianne Faithfull appeared as a guest panellist on October 31st 1964. On 7th January 1967 one of the records under review was a psychedelic rock number about heroin addiction, 'The Addicted Man' by a group called The Game. 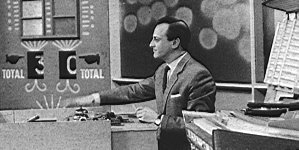 The record was rubbished by a panel of disc jockeys but that particular segment was never transmitted due to the BBC's concerns over the subject matter, leaving that particular show seven minutes short. The record itself was withdrawn during subsequent debates regarding the BBC's censorship decision. The very last JBJ panel on 27th December 1967 consisted of originals Pete Murray and Susan Stranks plus Lulu and Eric Sykes. The 30-minute pop show was but one of so many not recorded at the time by the BBC. However, some recordings do exist, although not of broadcast quality and, sadly, only two complete recordings of the show from the early Sixties are believed to have survived. See the links below.